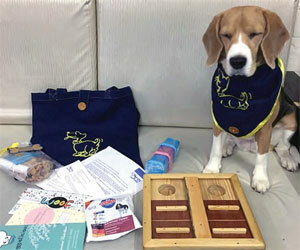 ‘Brain Games’ are games that are meant to be played together which provide attention, mental stimulation and challenge opening a whole new world for us to explore with our dogs…read on. In all the time that you have spent with your dog have you ever wondered what actually makes him do the things he does? Of course you have. And many a time probably sat back in amazement and watched as they figure out how to open the bathroom door to drink out of the toilet(!) or opened the bedroom door and slept on your bed when you left them home alone, or figured out how to get into the treat box! 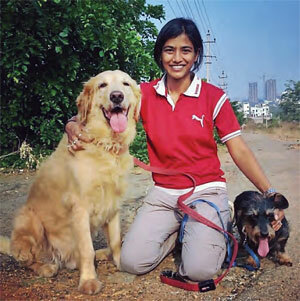 At Happy Tailz in Bengaluru we set out to correct this in our own lives and in the process saw how much it changed the nature of the relationship we have with our furry babies and our understanding of them. We came up with the idea of games that are meant to be played together. 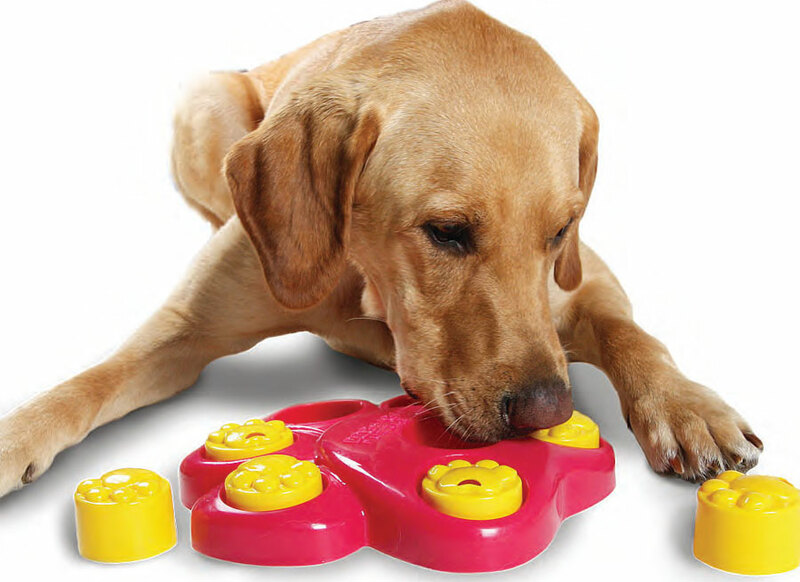 They are not ‘toys’ that you give your dog to keep him occupied. Your presence and involvement is essential. Let’s be honest. Most of us pet parents are guilty of underestimating our dogs on a daily basis. We (Freya and Preeti) are two such people. Between us we have been pet parents to over twenty dogs and for over twenty years. We realised that in the day to day grind of living our own lives and taking care of our furry babies we actually spend very little time with them. Sounds familiar?! We take them for walks, take naps with them, make sure they get their vet checks on time, spoil them with all the treats and ice creams and a whole lot more. But when was the last time we took the time to play a game of fetch with them or hide and seek? Anything that lets them know that we have time for them—time that is theirs alone, not an absentminded pat on the head while taking a work call. In the process of playing these games with our dogs we ended up doing a lot more than just spending some one-to-one time with our dogs. Our dogs loved the games so much that playing the game became a reward for them. Curie (a four-month-old Dachshund) was terrified of stepping out of her home. After playing the Linus game with her for a few days I decided to try using the game to help her overcome fear. I placed the game outside the door and it was amazing to watch! She calmly stepped out the door as she was more focused on the fun she had with the game than being scared of her surroundings. We used the game to help her overcome her fear of people too. All the people who came to the house were asked to spend a few minutes playing with her and she just blossomed! She is much more confident and comfortable with people now! Mitsy (an Indian breed) is another who was entered a room with a standing fan in it to play the game in spite of his fear of the fan. Steffie (a Lab) has issues with anxiety. She has calmed down so much and is now very happy showing off to her pet parents be retrieving the newspaper and more! Crimson (Irish Setter), our in-house trainer (nine-year-old Arya, Preeti’s daughter) uses the games to bond with the dogs and teach them things like ‘paw’ and ‘wait’. Crimson had all kinds of insecurities. 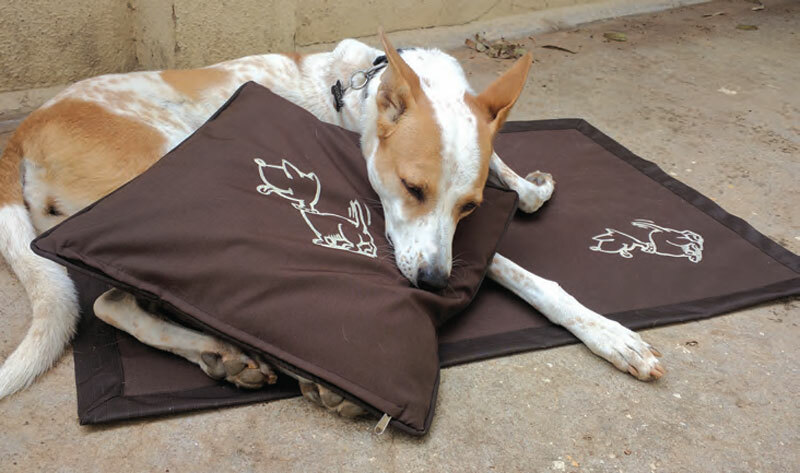 Arya started to work with her using the games and today she is a completely different dog! All she needed was the attention and the mental stimulation and challenge that the games provided! Cuckoo (Freya’s Indian breed) is a challenge as she is so intelligent that there seems to be no way to keep her engaged. The games changed all that. Today, Cuckoo waits eagerly for the games to come out and is not willing to let them out of her sight! There is a whole world for us to explore with our dogs. We just need to figure out how to get there. 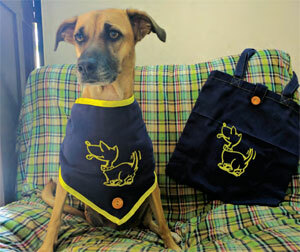 At Happy Tailz we hope that we can make the journey easier and more fun for pet parents and for their four legged friends. Happy Tailz from us to you!